A cup of steaming bone broth not only tastes great, it also has therapeutic value for anyone suffering from joint pain. Bone broth is made with roasted bones that are simmered in water for up to 48 hours. During the cooking process, the bones break down and release vital minerals and nutrients into the broth. The longer the cooking process, the more the bones break down, and the richer the broth becomes. Incorporating bone broth into your daily diet can benefit not only your joints but your general health and wellbeing as well. A fresh, hot cup of bone broth is a great start to a cold winter’s day, or a refreshing, nutritious snack during the afternoon. You can add bone broth to soups and gravies as a stock to enhance the flavor, or as a standalone side dish to any meal. 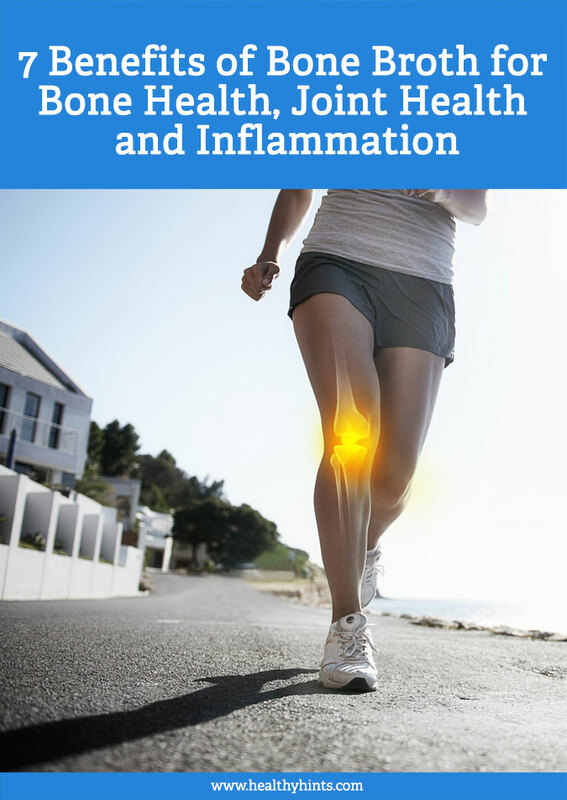 Inflammation is the primary cause of all disease and health disorders. The food we eat has an inflammatory effect on our bodies, starting with the gut and spreading to the skeletal, muscular, and nervous systems. Elevated levels of inflammation in the body can open the door for infection from health disorders and disease, including osteoporosis and arthritis. Consuming bone broth regularly in your diet improves, and in some cases completely eradicates, inflammatory diseases and disorders. The health of our GI tract depends on the colonies of micro bacteria found in the gut. This bacteria, also known as the gut biome, is directly responsible for your level of wellbeing. 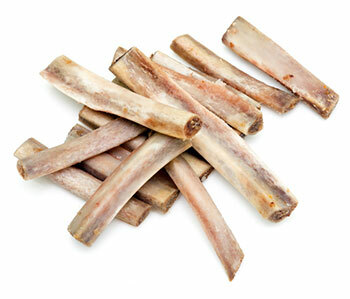 Bones contain collagen, which is broken down into gelatin by the slow cooking process involved with making bone broth. Gelatin is a soft, nutritious substance that has a restoring effect on the GI tract when consumed. The gelatin is rich in vital nutrients and minerals that improve crucial metabolic and biological processes within the body. Refined carbohydrates, sugar, and bad fats all create massive amounts of inflammation in the body. Using bone broth is a nutrition alternative, since it focuses on protein and good fats, with little to no carbs. Digestion and assimilation of your food is a critical biological process governed by your gut biomes. 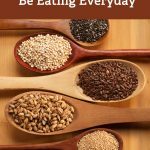 When the gut biomes are in good health and inflammation is minimized in the GI tract, you will absorb nutrients and minerals more effectively. 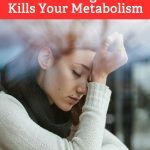 Your metabolism consists of all the key biological processes that are essential for life. Breathing, circulation, digestion, cognitive function and movement all depend on optimal metabolic function. The efficiency of your metabolism depends on the health of your gut biomes. 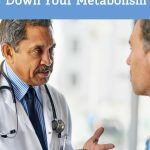 A high-inflammatory environment in the gut will impair metabolism, while a low-inflammatory environment will optimize metabolic function. Bone broth reduces inflammation in the gut and therefore improves metabolic function. The health of our skeletal system begins to decline in our mid-thirties. As we age, our bones lose mass and vital minerals and nutrients such as calcium and magnesium are rapidly depleted from our system. This leads to the onset of skeletal and joint disease such as arthritis. Bone broth improves joint health by reducing inflammation and providing crucial minerals to your joints and bones. These minerals lubricate and support the sinew, tendons, ligaments, and cartilage in your joints, providing pain relief. Bone broth is rich in these two essential minerals. Glucosamine and chondroitin are the base compounds found in the majority of supplements available. The gelatin found in bone broth is a viable, natural source of these two minerals. These two minerals are important for bone health and cell communication. As we age, the calcium is depleted from your skeletal system. This opens the door for degenerative bone diseases such as osteoporosis and rheumatoid arthritis. The elderly often require supplementation of these minerals to ensure optimal bone and joint health. Adding in bone broth to your daily diet will improve your joint mobility and extend your skeletal longevity well into your old age. Use it as a natural remedy for pain relief, or as a preventative measure to ensure that you enjoy the best quality of life possible. There are many supplements available to improve joint health. However, a simple cup of bone broth every morning provides the same supplemental value as any leading product. Reduce inflammation and improve your joint health with a natural remedy that has a huge nutritional advantage. Bone broth belongs in your diet, give it a try every morning for a month and monitor your state of well-being. Log your results and at the end of thirty days evaluate the impact of bone broth on your joint health and mobility.